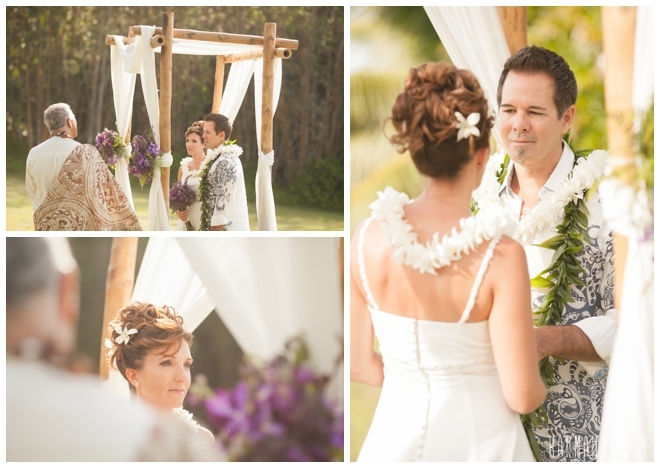 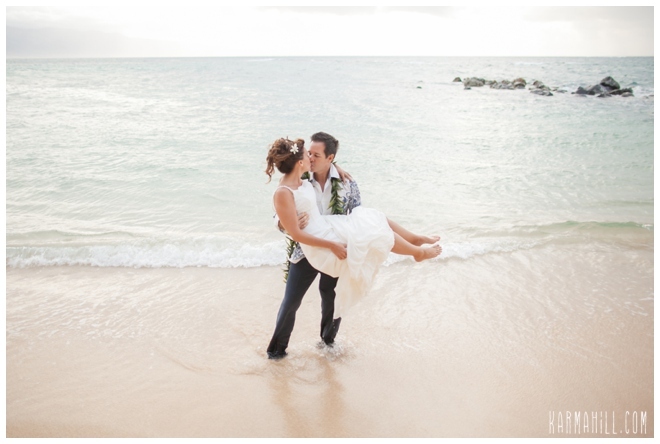 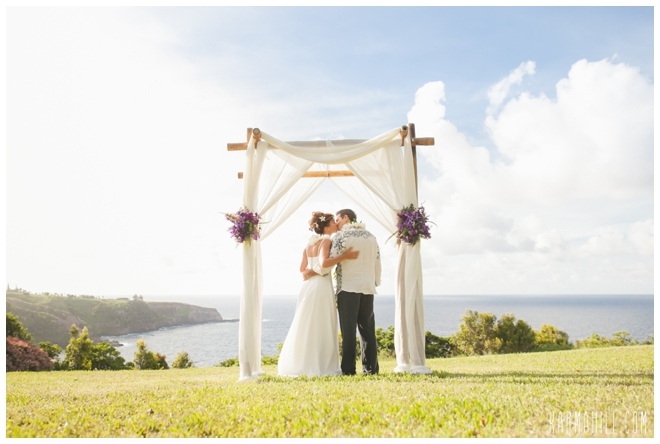 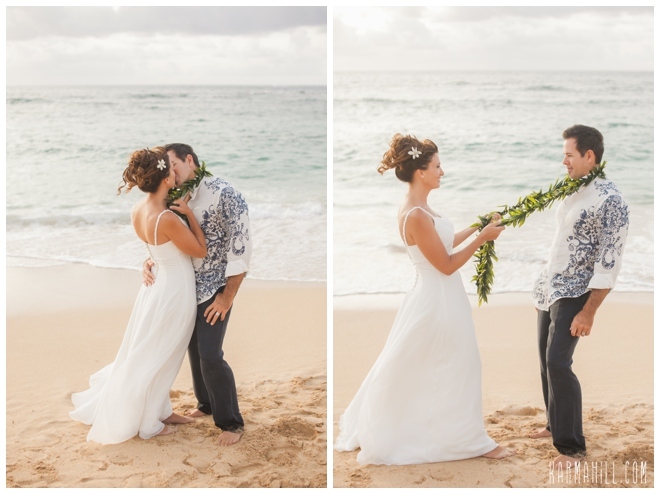 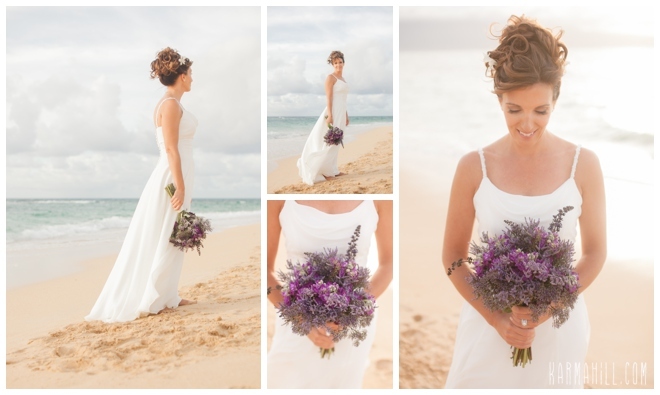 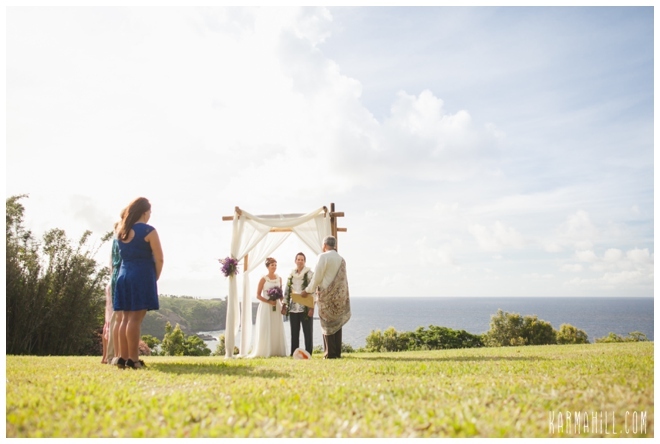 What an amazing piece of property these two had their Maui wedding on! 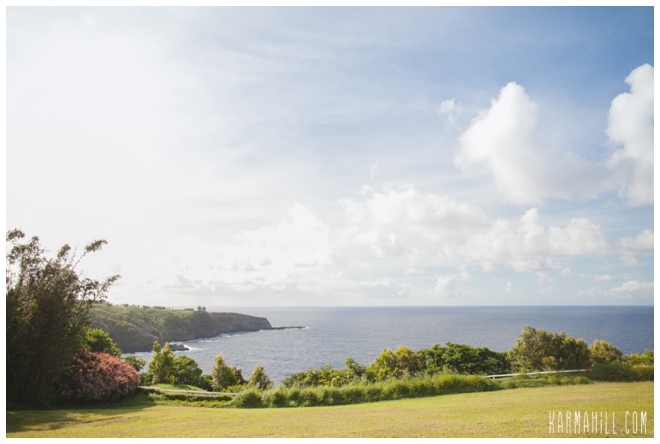 Melissa & Kevin own property overlooking the ocean in Haiku. 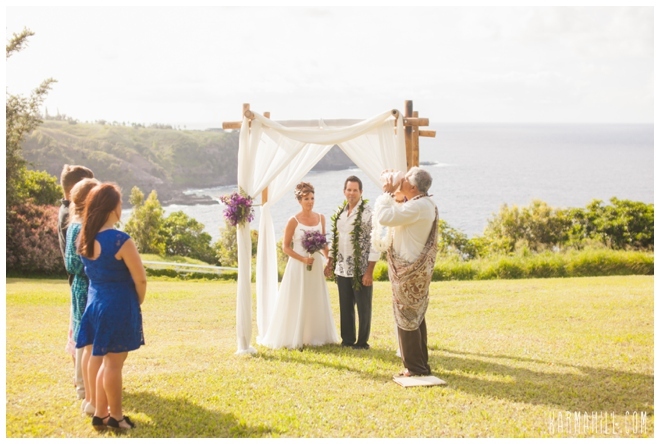 They will eventually build a house on the property and make it their home but for now, it was the gorgeous venue for their Maui wedding! 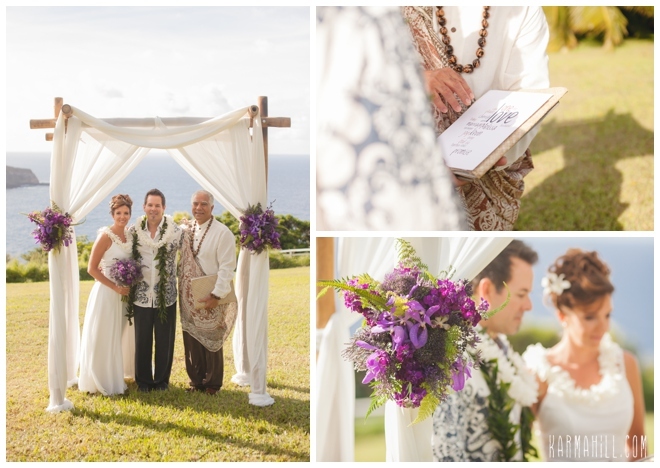 They were married by Reverend Joe Miles as their closest family and friends watched along. 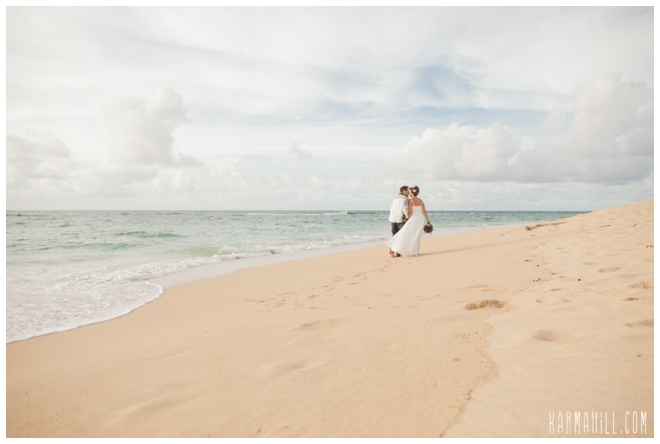 After the heartfelt ceremony staff photographer Ajja took them down to Baldwin Beach for some fun group shots and romantic couple's photos. 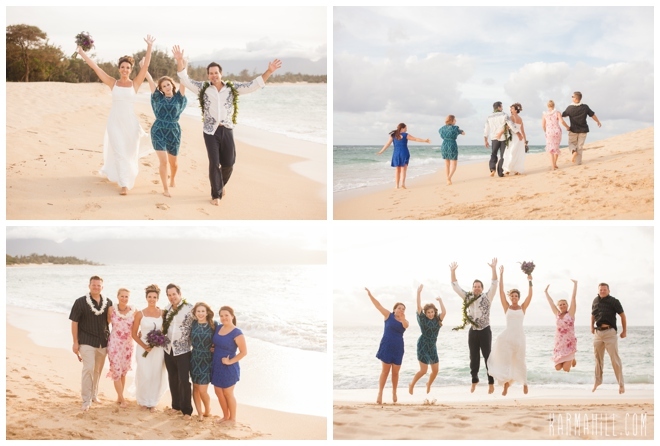 They had a blast and we were honored to be a part of it. 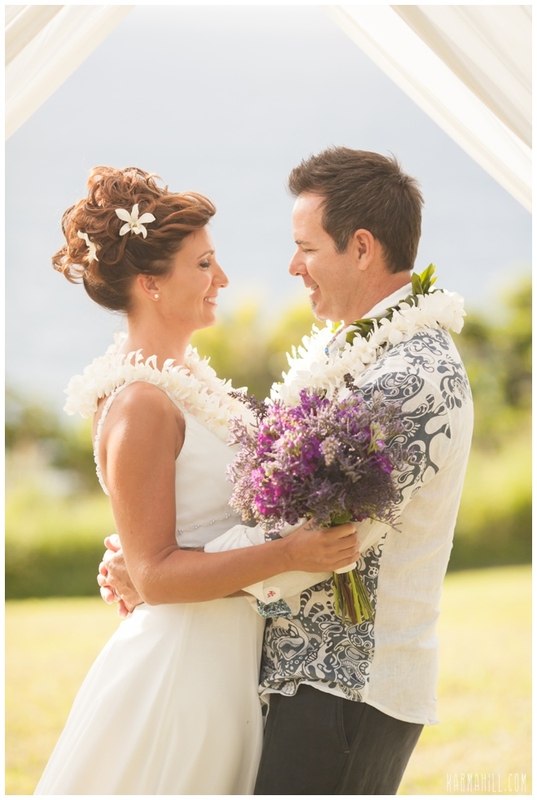 Thank you so much Melissa & Kevin for choosing Simple Maui Wedding to be a part of your special day. 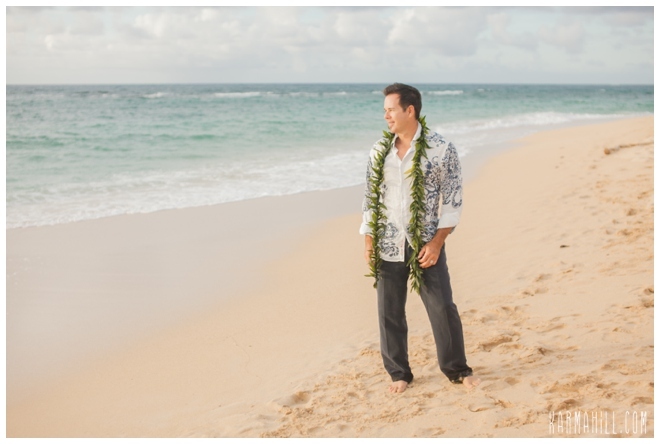 We hope you invite us back for your housewarming party...! 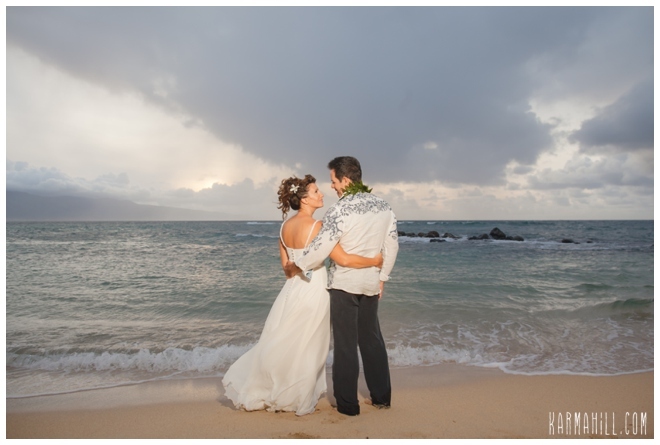 Check out our last Maui wedding with Breanne & Nathan!